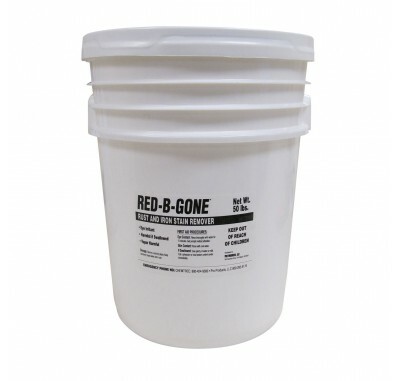 For commercial and industrial applications, there's nothing like a 50 lb pail of powerful Red-B-Gone rust stain remover. Made in the USA, the dry powder formula stores easily and the large pail eliminates the clumsy little bottles. 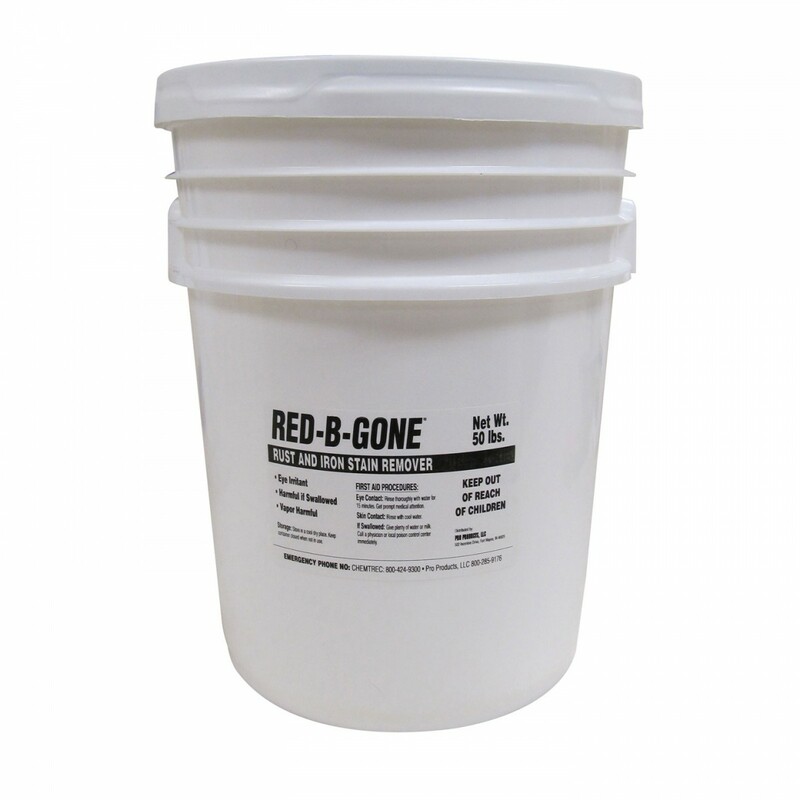 Whether you are dealing with stains in your white laundry, glassware, restroom facilities, or iron-fouled water softeners, Red-B-Gone will tackle your iron problem with ease. The Pro Products Red-B-Gone Rust and Iron Stain Remover. Safe & Easy to use. Removes rust stains from almost anything.